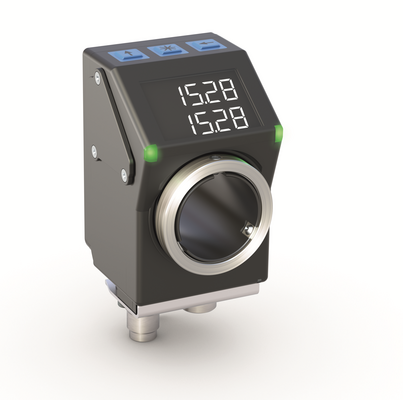 The new AP05 is the most compact of all bus-compatible position indicators from SIKO. As the successor to the AP04, the AP05 offers the same space-saving attachment dimensions, as well as being attachment-compatible. The user now experiences maximal ergonomics in order to quickly and intuitively reach the target position. A significant new element of the AP05 - an inverted, backlit LCD display - has been integrated for this reason. The lighting ensures that the values for the target and actual position are ideally legible, even in low light conditions. Along with the LCD directional arrow, the AP05 position indicator also offers intuitive user guidance via the right and left status LEDs, both integrated into the case and in two colors. These not only signal positional status (InPos or OutPos) but also simultaneously indicate the required rotational direction.